10 Best Apps 4 Teachers Most of what we do is for the students. The focus of this and many other blogs and websites is about learning, and rightly so, but there are also apps that will make our jobs easier too. 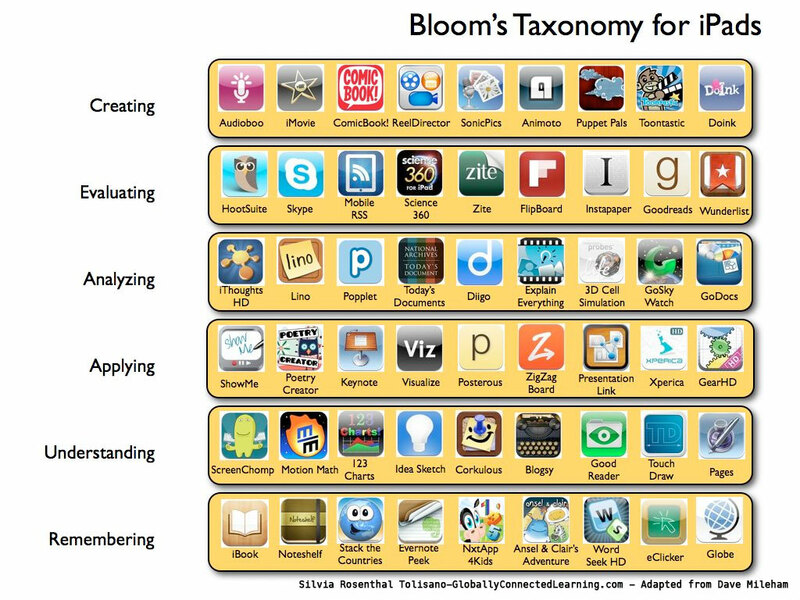 I am talking about that catergory of apps that are designed specifically for the classroom teacher. Those apps that will assist us in the everyday little jobs that need to be done, often on the run and often while 10 other things are also happening in the room. designing for kids Kids spend a lot of time online, and their cognitive and physical limitations present many challenges to them when they do so. Pair that with poorly designed content and dark patterns, and you have a bad mix. As designers on the web, we have a responsibility to create things that empower kids and make them smarter, not the opposite. This article will give you some insights about what kids are like from the psychological point of view, and how this affects the way they use the web. We’ll also cover practical design guidelines to create better web stuff for kids. The Digital Learning Farm and iPad Apps 21st Century Learning Socratic Seminar and The Backchannel Humanities teacher, Shannon Hancock, at Graded, the American School of São Paulo, read and worked through The Alchemist by Paulo Coehlo with her 8th grade students. Not only did they read the text, learn about literary elements, but also learned to articulate and discuss in a professional manner the text … Evaluating Apps with Transformative Use of the iPad in Mind The app development market is exploding. More and more companies are creating “educational apps”. In some cases, they are simply digital versions of a book or a web based tool. Some seem to have “no educational value” to it at all, but are still sold under the label of “education”. Although, I usually don’t resort to borderline cuss words, I really liked the expression of “crapware”, Sarah Perez over at TechCrunch used when she was reviewing a new app for the Pre-School/Kindergarten crowd. iPad Apps How do I get Apps to this device? Or If you are new to the mobile world, what is an App? App or an application is a program that can be installed on to the device. The app will have an icon associated with it. 7 Ways to Collect Student Work in an #iPad Classroom #staar Next week, I'll be facilitating a short one-hour workshop on a topic that is deceptively simple on a computer, but can be complex on an iPad--how to get student work off an iPad in a place where the teacher can get to it in ONE place. This short blog entry tries to offer some solutions. Let me know what you think, ok? Many apps--here's a short list--will output to WebDav, video or image format that ends up in your Camera Roll. Others will go to YouTube, cloud storage, and allow email sharing. Top 17 Free Digital Storytelling Apps for The iPad 1-StoryKit This is an awesome iOS app that allows users to easily create an electronic storybook via illustrations by drawing on the screen, using pictures and text, and recording audio to attach to stories. 2- Talking Tom & Ben News This is fun app to use. Kids can talk to them and they will repeat what you say in turs. They can also create and record funny conversations between them. 3 Presentation Tools Teachers Are Now Using Presentations are more than just Powerpoint or Keynote. While those tools will get the presentation-making job done, there are definitely better options out there, especially for classroom applications, where you’re more likely to use all of the multimedia capabilities than someone showing revenue slides in a business meeting. The most obvious use for a great presentation tool in your classroom is for presenting material to your class. A Minecraft Add-on To Teach Kids Coding and Programming Skills August 10, 2015 LearnToMod is a Minecraft add-on to help students learn coding and programming skills through creating interactive mods to the game. LearnToMod, which we discovered through this article from The Guardian, offers a Modding Studio where students get to experiment with coding using two powerful programming languages. It also enables them to collaboratively learn from each other by exchanging code and remixing codes that others have written. Related: Minecraft Released A New Website to Help Teachers Use Minecraft in Their Classes LearnToMod offers a wide variety of resources geared towards helping students learn to mod. iPads Make Better Readers, Writers Literacy Skills iPads Make Better Readers, Writers In a research paper titled “Unlocking Literacy with iPad,” Ohio English teacher James Harmon found that state-compiled statistics indicate that those students with iPad access in the year leading up to the Ohio Graduation Test had a 6-percent greater chance of passing the test’s reading portion than those without, and an 8-percent greater chance of passing the writing portion. By Margo Pierce09/06/11 Once upon a time teachers stood in front of a blackboard writing letters of the alphabet with chalk and drilling students to develop literacy skills. But now that children are growing up with laptops, streaming video, and even iPads, what’s a teacher to do?